Area children are invited to dive and swim for treasure when the Boulder City Pool hosts its fourth annual Easter Pool Plunge at 2:15 p.m. Saturday, April 6. The hunt will be divided into three age divisions: 5 and younger, 6-9 years of age and 10-13 years of age. Cost is $2 per person. Those who cannot pass the pool’s swim test must have a responsible person 12 or older within arm’s reach at all times. The pool is at 861 Avenue B. Call 702-293-9286 for more information. Unique works in resin will be showcased by Boulder City Art Guild in its gallery throughout April. Birgit Tode, the month’s featured artist, began working in resin about two years ago. She said she “loves to play” with the fluid medium and its many colors. She has no formal training in the use of resins and is inspired by her feelings. “It invites experimenting with different techniques and materials, beyond the usual classic approaches to resin on canvas,” she said. The public is invited to meet Tode and see her works during a reception from 1-3 p.m. Saturday, April 6, in the gallery. The gallery is inside Boulder Dam Hotel, 1305 Arizona St., and is open from 10 a.m. to 4 p.m. Monday through Saturday and from 10 a.m. to 3 p.m. Sunday. Admission is free. P.E.O., the philanthropic educational organization, will hold its annual yard sale fundraiser from 7 a.m. to 1 p.m. Friday and Saturday, April 5 and 6, at 807 Los Tavis Way. Proceeds from the sale will benefit P.E.O. charitable projects and scholarships. ■ STEAM exploration club, 10 a.m. today, April 4, in the community room. For those age 5 and younger and their caregivers. ■ Lego challenge, 3:30 p.m. today, April 4, in the community room. For those age 6 and older. ■ Drop-in story time, 10 a.m. Friday, April 5, in the boardroom. For those age 5 and younger and their caregivers. ■ Animal adoption day, 11 a.m. Saturday, April 6, in the amphitheater. There will be animal adoptions, information about pet services and ability to register your pet with the city. ■ Guitars 101, noon Saturday, April 6, in the boardroom. Bring your own guitar and learn basic chords. ■ Local author poetry reading, 2 p.m. Sunday, April 7, in the community room. Help celebrate national poetry month. ■ Youth arts and crafts club, 3:30 p.m. Monday, April 8, in the boardroom. ■ Drop-in coding, 6 p.m. Monday, April 8, in the boardroom. For those age 8 and older. ■ Baby lap-sit story time, 10 a.m. Tuesday, April 9, in the boardroom. For those age 24 months and younger and their caregivers. ■ Crochet for a cause, 2:30 p.m. Tuesday, April 9, in the community room. Learn how to make a sleeping mat for the homeless out of plastic bags. ■ Toddler story time, 10 a.m. Wednesday, April 10, in the boardroom. For children ages 2-3 years old. ■ Chess club, 4 p.m. Wednesday, April 10, in the community room. ■ Volunteer event: Great American Cleanup, Saturday, April 6. Join a ranger to help clean up part of the recreation area. Reservations required. For information or reservations, call 702-293-8174 or email Lake_Volunteer_Coordinator@nps.gov. ■ Volunteer event: Earth Day seed collection, Saturday, April 13. Join a botanist to help collect native seeds to grow in the plant nursery. Space is limited to the first 18 people. Reservations required. For information or reservations, call 702-293-8174 or email Lake_Volunteer_Coordinator@nps.gov. 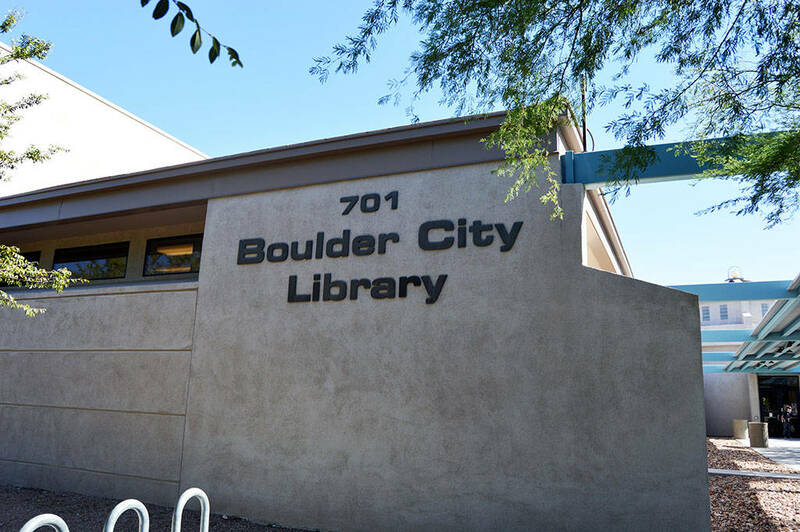 The Boulder City Democratic Club will hold its monthly meeting at 6:30 p.m. Thursday, April 11, in the community room at Boulder City Library, 701 Adams Blvd. Councilman Kiernan McManus is expected to join the club for a discussion about the questions that will appear on the June municipal election ballot. For more information, email bouldercitydemocraticclub@gmail.com or call 702-530-6604. A community blood drive will be held from 1-7 p.m. Thursday, April 11, in the gym at the The Church of Jesus Christ of Latter-day Saints, 916 Fifth St.
To schedule an appointment, visit http://www.bloodhero.com and enter the code bouldercity or call Lee McDonald at 702-795-8335. 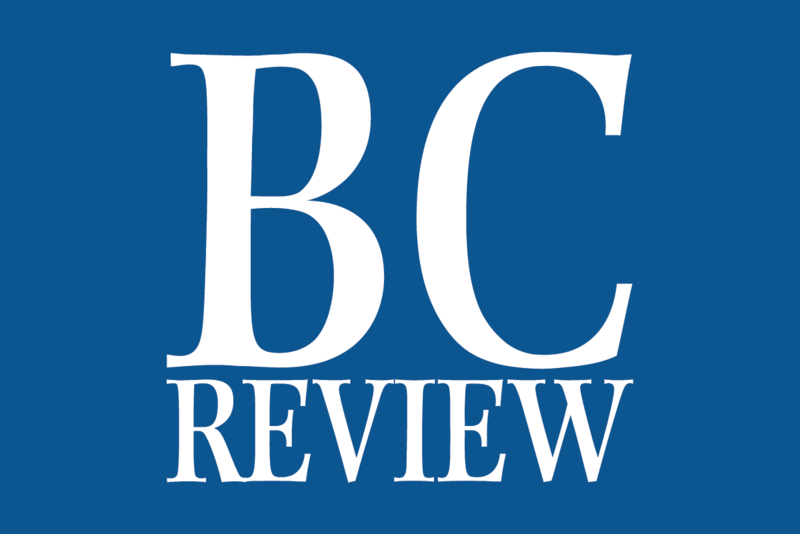 The Boulder City Republican Women’s Club will hold its monthly luncheon meetingThursday, April 18, at Railroad Pass Casino, 2800 S. Boulder Highway, Henderson. The guest speaker will be John Tsarpalas, president of the Nevada Policy Research Institute. Cost is $22 per person.Reservations must be made by noonThursday, April 11. They can be obtained by emailing bcgop@yahoo.com or by calling 702-393-1228. See Spot Run will hold its annual fundraiser Bow Wow Bingo on Saturday, April 27, on the patio at Chilly Jilly’z, 1680 Boulder City Parkway. The event will include dinner, raffle and bingo. Doors will open at 5:30 p.m. Dinner will be served at 6 and bingo is scheduled from 7-9. Performers are being sought to compete in the 10th annual BC’s Got Talent show presented by the Boulder City History & Arts Foundation. They will vie in three age divisions: 10 and younger, 11-18 and 19 and older. Auditions will be held May 4. Those who would like to audition should call or text Justin Keogh at 702-480-3615. BC’s Got Talent will be presented at 7 p.m. May 25 in the amphitheater at Boulder City Library.